For those that don't know us, Kaki Lima Boston is a wife and husband team (Retno and Pete) on a mission to introduce Indonesian cuisine to a wider audience. And on Jan. 17, we are continuing our pop up restaurant series at Shojo in Boston's Chinatown. Sunday's dinner will be a 5-course plated meal. The first course will be served promptly at 7 p.m. Please be a little early! Beer, wine, cocktails and other drinks will be sold separately by Shojo. Limited seating is available and these events typically sell out fast. So get your tickets soon! Also, due to the nature of the event, we will not be able to accommodate allergies and other dietary restrictions (sorry!). Be aware that shrimp paste, tree nuts and peanuts are used in a lot of Indonesian cooking. served with yellow rice and sambal matah. A Balinese classic. 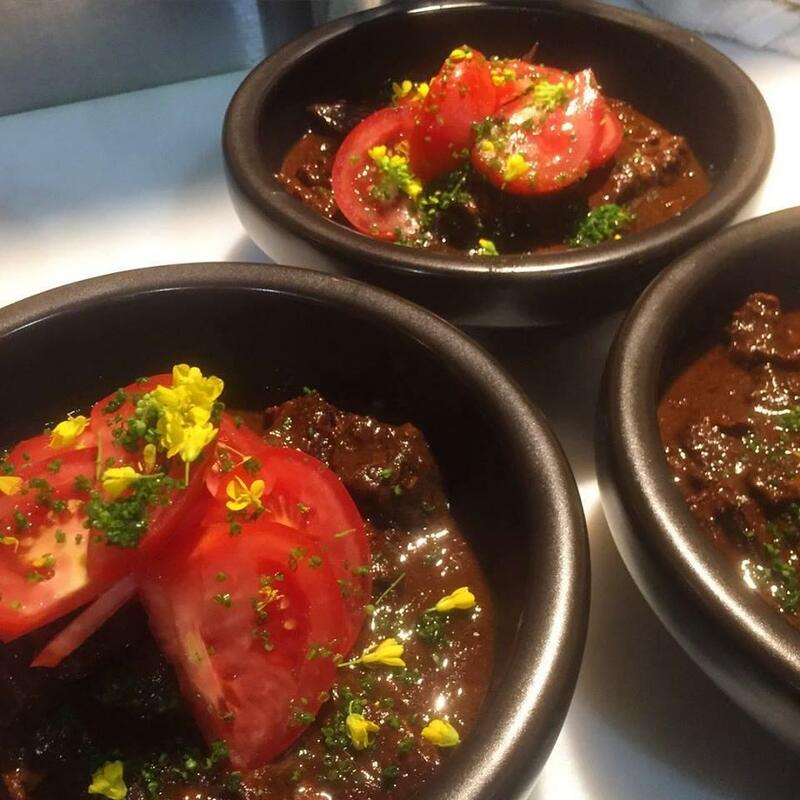 Jakarta-style slow braised beef with tamarind, kecap manis, galangal, and warm spices. Served with jasmine rice and sambal bajak.